AllSeated’s tools act as an online wedding planner, allowing wedding couples to manage guest lists, floorplans, seating arrangements, timelines and more for their wedding day. AllSeated provides functionality, organization and attention to detail all in one place, eliminating the need for spreadsheets, PDF files and scattered papers of floorplan drawings! 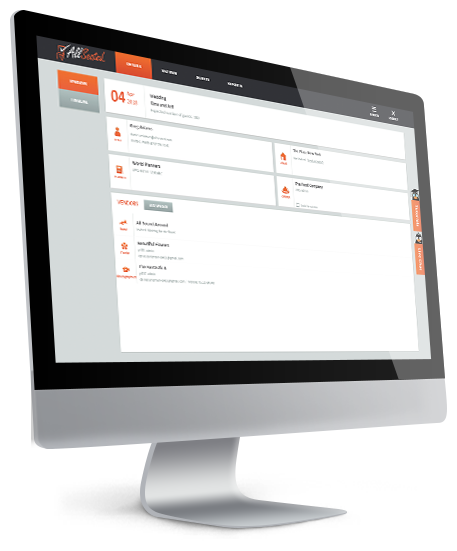 AllSeated provides opportunity to manage multiple guest lists for every wedding event including your bridal shower, bachelorette party, rehearsal dinner and post wedding brunch. Invite your “entourage” into your AllSeated account so that everyone can be a part of and involved in your online wedding planner too. Collaborate in real time with friends, family and even your vendors to ensure that you are all on the same page and up to date with your wedding details. 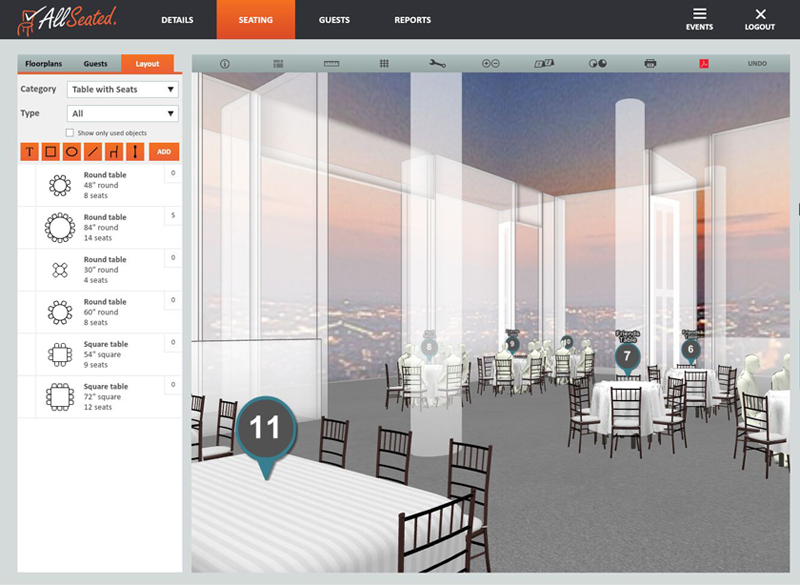 Easily build your wedding floorplan using a few of AllSeated’s simple tools. Select your tables and furniture from the vast furniture libraries to arrange your wedding layout. 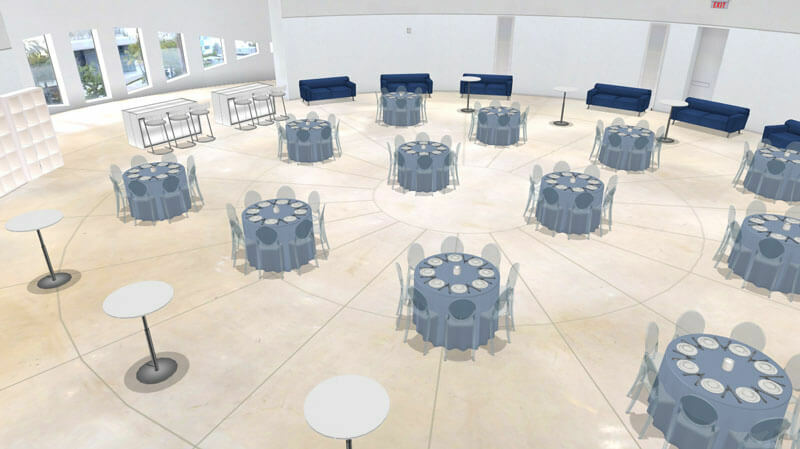 Using your guest list, arrange your wedding seating chart directly in your floorplan and then view in stunning 3D to really bring your wedding to life. 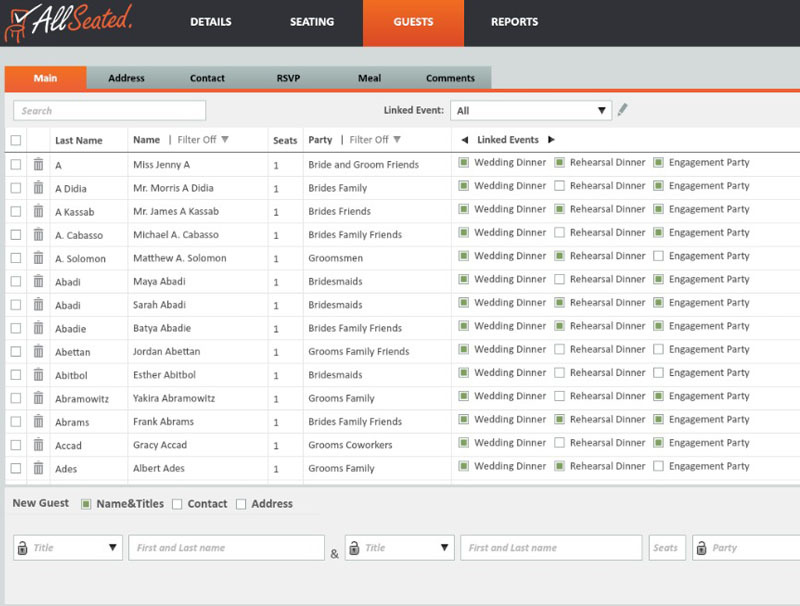 AllSeated offers you the ability to build multiple timelines for your wedding and wedding related events. You can create a timeline for your wedding rehearsal and dinner, a wedding day timeline for your wedding day appointments while also creating a timeline for your vendors. With everything updated in real-time, having these timelines will keep everyone on the same schedule which allows for seamless set up and execution of detail. 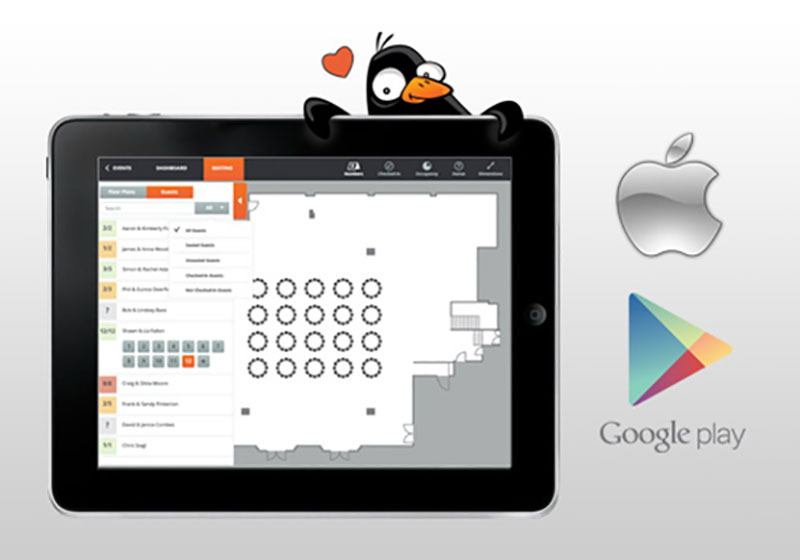 AllSeated’s Day-Of Mobile App for tablets allows you access to your wedding on the go with a full check-in system including real-time collaboration, live check-in updates, overview of check-in status and ability to view your floorplans in both 2D and 3D. The day-of Mobile App also allows you to let your guests know where they are sitting via check-in. Simply enter a guest’s name and their seating information will pop up. AllSeated’s Virtual Reality is now available! Wedding couples can now experience their big day before it happens thanks to the first ever virtual reality tool released by AllSeated. By using special virtual reality goggles, you will be able to tour your future wedding reception layout in a realistic simulation. Learn more about AllSeated’s Virtual Reality and the three easy steps for getting started here.